Of course, it’s all relative. I mean, I’m quite young. I have only really been paying attention to movies and actors for about fifteen years. So it’s the movie stars of that era that really established themselves for me, and their relations were always… well, relative to those stars. Despite the fact, for example, that Kirk Douglas is a Hollywood legend in his own right – and one for whom I have the utmost respect – he was “Michael Douglas’ father”, rather than Michael Douglas being “Kirk Douglas’ son” – if that makes sense. I’m probably rambling. I know it’s hardly fair, but I don’t do it consciously. In fact, there are quite a few performers with famous relatives who I do think of on their own terms. For example, Natasha Richardson and Joely Richardson are both actors I think of on their own terms, despite being the daughters of an established institution like Vanessa Redgrave. Donald and Keifer Sutherland are actors I consider on their own terms as well, despite their close relation. It would be easy to make the case that it’s about the “level” of fame, but I don’t necessarily think that’s the case – at least not for me. Vanessa Redgrave’s daughters are hardly matinée names, and certainly not as famous as their mother, while Michael Douglas has carved out a long and distinguished career just like his father (yet Kirk will likely always be “Michael’s dad” to me). Martin Sheen is respected, but he has no profile even remotely close to Charlie’s headline-generating antics. I don’t even think it’s a matter of personal preference, either – I like the work of Jon Voight and Angelina Jolie equally (with no clear or decisive favourite), yet they seem like separate and distinct entities to me. It certainly isn’t pop culture trendiness, because Keiran and Rory Culkin will likely always be “Macaulay’s little brothers to me”, despite the fact they’ve landed quite a few high-profile and critically-praised gigs, which I actually enjoyed myself. Perhaps it’s superficial things, like the fact that Jon Voight and Angelina Jolie don’t share the same surname. Or the fact that Donald and Kiefer Sutherland look absolutely nothing alike. 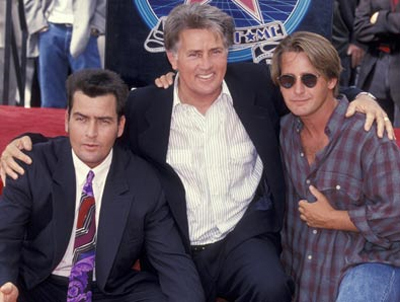 After all, even now, there’s an uncanny resemblance between Kirk and Michael Douglas, and Martin Sheen and his kids. The Baldwins all look like (and sound) the same person with slightly altered dimensions. However, Colin Smith still looks like the spitting image of his father, so – while this is likely a factor – it’s probably not the key one. I think, perhaps, the key thing which helps me view a performer on their own terms is the development of their own stage persona. I would suggest that I maybe come to see an actor as their own individual entity when they carve their own niche. I think that’s the key to why I see the Richardson sisters as so unique – each has their own particular style of role, and it’s not one you could easily slide their relative into without losing something. It’s hard to imagine Joely, for example, in The White Countess, or Natasha in Nip/Tuck. I don’t think I could have ever bought a younger Donald Sutherland in something like 24, and I certainly don’t think his son would be a comfortable fit in Invasion of the Body Snatchers or Don’t Look Now. I think that’s why this trailer is so interesting, because “serial killer” is about as far away from Tom Hanks’ screen persona as you could possibly get, especially these days when he is a Hollywood institution. Sure, he might play a huckster in films like Charlie Wilson’s War, but it’s hard to imagine Tom doing something with an edge like this. Indeed, Colin seems to be cleverly playing off his father’s screen persona here – his character initially seems like a fairly decent guy, the kinda person you’d like to grab a beer with, before his dark secret is revealed. I like that. It seems like Colin is acknowledging his father, while distancing himself from him at the same time. I don’t know. Maybe I’m rambling. Still, Lucky looks like it could be interesting. Miranda Richardson is not one of the Redgrave posse. Just a similar name. 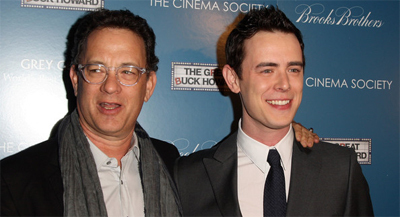 I’d like to think Colin Hanks will get his due. He was quite good on Mad Men.